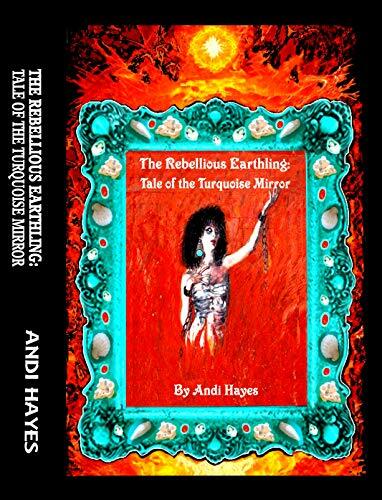 The Rebellious Earthling follows Ermina and her experiences in the depraved goblin world. 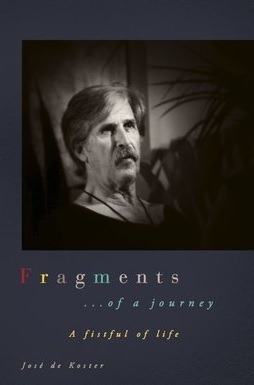 What was the inspiration for the setup to this exciting novel? The hellish world of Tartarus served as both a dark mirror and a passageway to the evil that is business-as-usual behind certain closed doors on Earth. The intent was to expose normalized cruelties and aberrant, sociopathic behaviors in what’s considered a civilized society. Inspiration for the landscape came from many sources, including artwork like Hieronymus Bosch paintings and “The Harrowing of Hell,” and books like “The Princess and The Goblin” and Orwell’s “1984.” The Turquoise Mirror did actually exist at one time but has since been gotten rid of for its unflattering reflection and creepy aura. Lord Phegor infects a village of noble goblins to create a new species of demonic creatures. What were some themes you wanted to capture in their race? The new species created was one void of all empathy, decency and morals; they had willingly given up their souls in exchange for hedonistic lives free of guilt or remorse. Theirs was a joyless existence, as every emotion not rooted in hate, pride or deceit was deemed useless and burdensome. Their apathy, narcissism and division amongst themselves served a purpose: it gave the Cabal even more power to control every aspect of their lives, all while allowing them to think they were free. I appreciated the depth of Ermina and Fairuzo characters and I found their relationship well developed. What were some driving ideals behind their characters and relationship? The Fairuzo character was based on the magnetic personality traits of an alluring, charismatic sociopath. Ermina’s naïve optimism and adventurous spirit enabled her to see past his cruel exterior enough to recognize a tiny speckle of good within him. In return, he saw within her an innocence long absent from his depraved world of debauchery, a purity he yearned to both corrupt yet preserve. A textbook case of opposites attracting; together, they were the meeting and melding of good and evil. And it is said that good always triumphs over evil. My next novel is a pet memoir entitled “Bratskulla The Magical Cat.” It will be available sometime in 2019. She loves animals… he loves to sacrifice them. It’s a mismatch made in HELL. An entirely new species of demonic creatures is spawned when Lord Phegor of the Fallen Angels infects a village of kind and noble goblins. Their mutated offspring now populate the God-forsaken planet of Tartarus where souls are taboo and nothing is sacred. It is into this hellish realm that the prim but virtuous Ermina descends after having impulsively accompanied Phegor’s charismatic son, Lord Fairuzo, back to his kingdom deep underground. Surrounded by vicious, hedonistic trolls whose sordid pleasures include sacrificing animals, tormenting slaves and indulging in violent orgies, the animal-loving Ermina refuses to participate in any of the cruel depravity. Suspected of possessing an intact soul and under constant surveillance by a diabolical Cabal, she must now find a way to escape back to Earth or be eaten alive. Posted on January 13, 2019, in Interviews and tagged 1984, adventure, alibris, andi hayes, apathy, author, author life, authors, barnes and noble, book, book club, book geek, book lover, bookaholic, bookbaby, bookblogger, bookbub, bookhaul, bookhub, bookish, bookreads, books of instagram, booksbooksbooks, bookshelf, bookstagram, bookstagramer, bookwitty, bookworks, bookworm, corrupt, debauchery, dystopian, ebook, fantasy, fiction, goodreads, hedonistic, ilovebooks, indiebooks, kindle, kobo, literature, narcissism, nook, novel, paranormal, publishing, read, reader, reading, science fiction, shelfari, smashwords, sociopath, story, supernatural, The Princess and The Goblin, The Rebellious Earthling, writer, writer community, writing. Bookmark the permalink. Leave a comment.